Ashtanga Yoga Glasgow was born out of a desire to share the traditional Mysore method of Ashtanga Yoga as taught at the KPJAYI in Mysore. 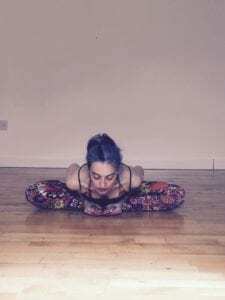 Starting with two mornings a week and just a few dedicated students, increasing gradually to 3, 4 and eventually 5 mornings, Cathy established Glasgow’s first morning mysore self practice programme 7 years ago and continues to teach every Monday to Friday today. She endeavours to teach, share and pass this method on to others as it was taught to her, in an approachable, friendly and compassionate way. Gem started yoga in her mid 20’s. A year after moving to Scotland from the Middle East and not long after the birth of her daughter. The past 11 years she has dedicated herself to her practice and became a teacher 7 years ago. Her yoga journey started with Bikram and then moved into Hot Vinyasa, Ashtanga and Yin yoga. She now practices Ashtanga 5/6 days a week and has a 3 day a week Yin practice. She is trained in Bikram, Vinyasa, Ashtanga and Yin Yoga. 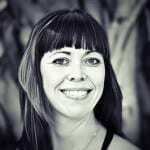 Rose is an ashtanga yoga student and yoga teacher. She assists her teacher, Cathy Moran, on the early morning Mysore programme, and has a dedicated daily practice. ”I was first drawn to yoga to build strength to support my body, however it was the discovery of the ashtanga method that brought me the strength I needed to support myself, physically, mentally and emotionally. I like to incorporate elements of yin yoga to to my practice to help balance out the daily yang of life, and continue to study yoga philosophy to develop a deepening understanding of what yoga means beyond the asanas.